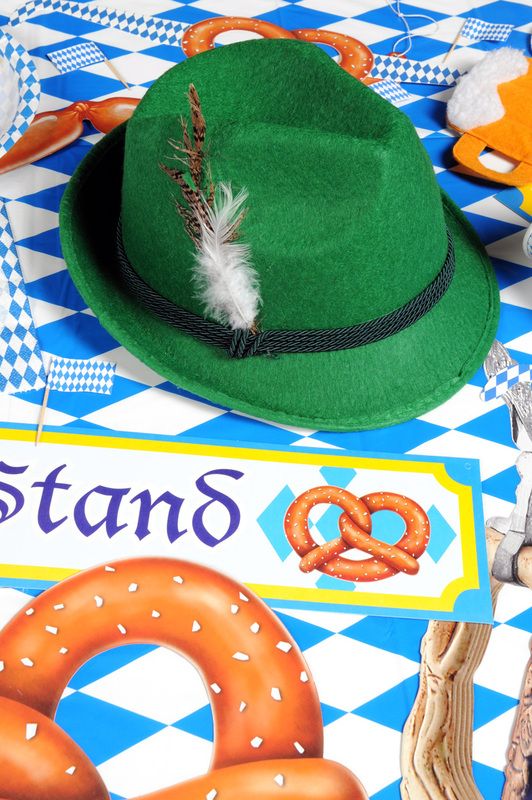 Germany is famous for their massive Oktoberfest festival, held once a year in Munich. The good news is, (thanks to Beistle), you don’t need to travel all the way to Germany to partake in Oktoberfest festivities. 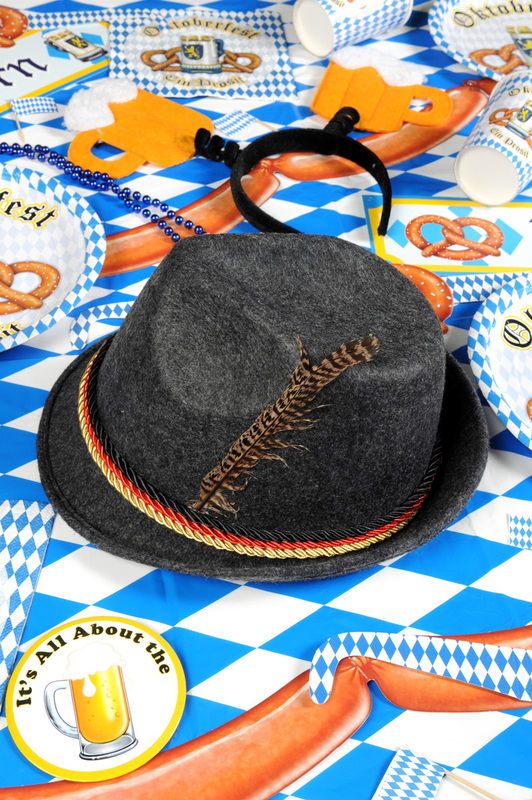 Today, my mission is to show you how you can create your own authentic Oktoberfest party at home with these 5 simple tips! 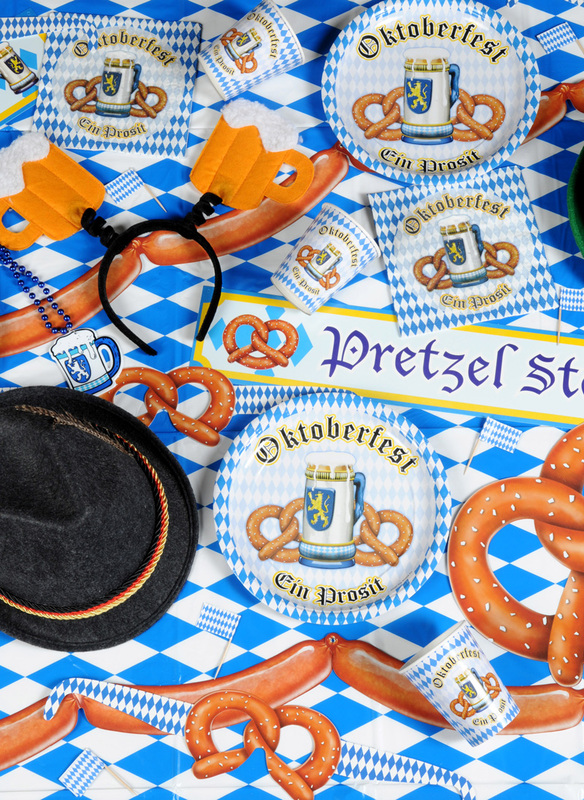 Once you have your tables set up in your Biergarten, cover them with plastic tablecovers, such as the (57941) harlequin patterned Oktoberfest Tablecover. Then, arrange a few table decorations such as centerpieces & confetti down the centers. 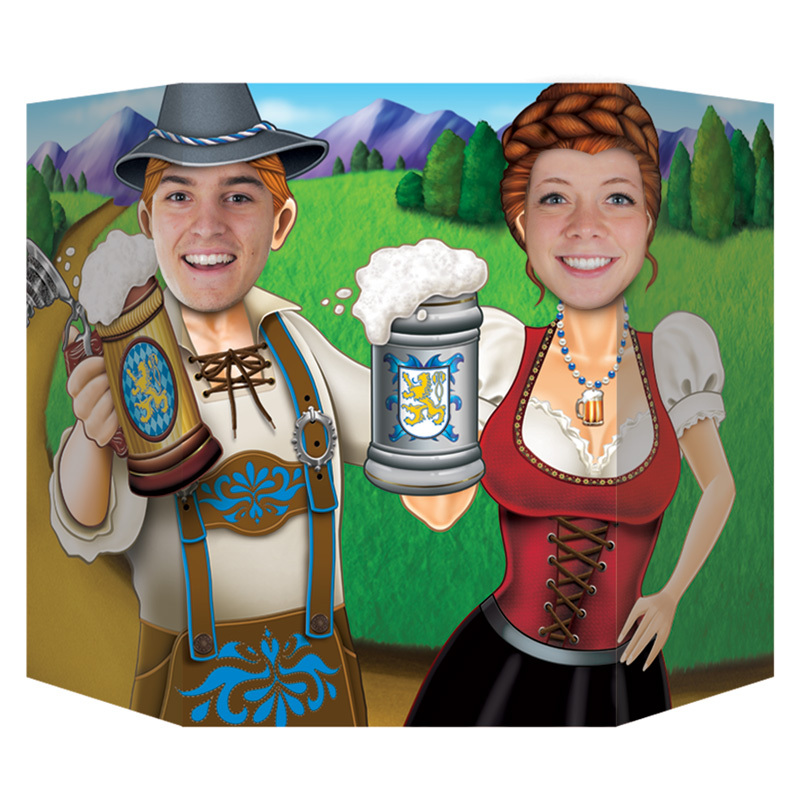 We have greatcenterpieces in this theme, such as the 3-D jointed Beer Stein, German Flag Cascades and my favorite, the (new for 2018) 3-D Beer Wagon. Most importantly…remember your tableware! 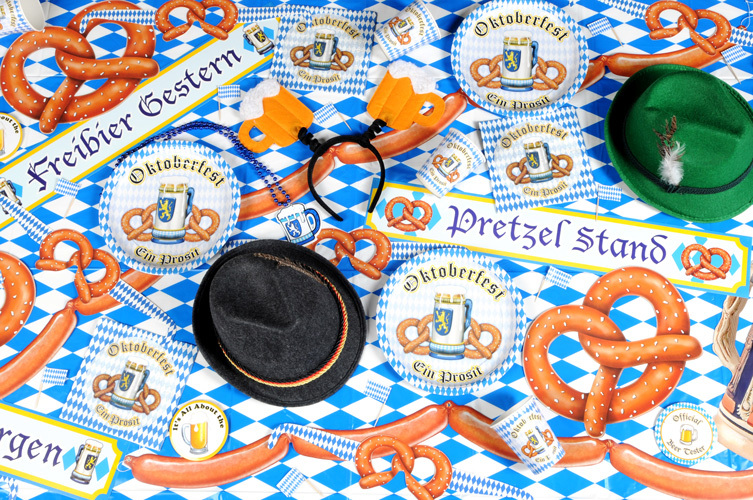 Our Oktoberfest Plates, Cups & Napkins will match perfectly with the rest of your decor. Below, is a list of food ideas and suggestions that you could make for your party. Don’t feel like cooking? 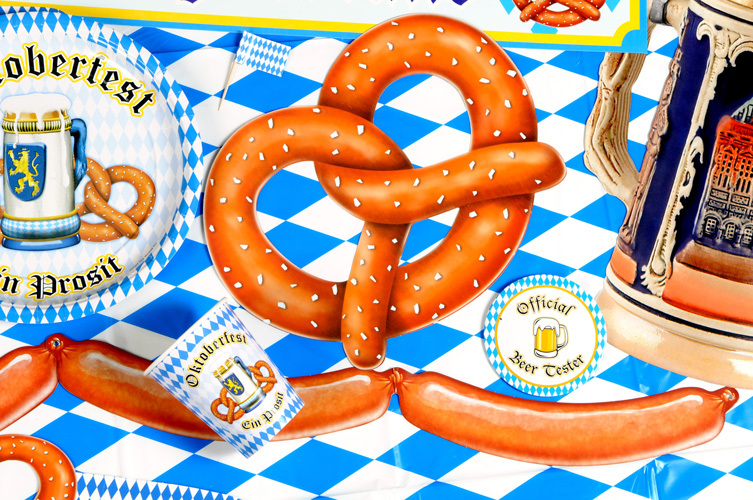 Search for a local German shop or restaurant in your area that you could purchase the food pre-made for that day. Some of these are making me hungryyyy! According to beerconnoisseur.com, below is the current top 10 list of beers to serve at an Oktoberfest event. 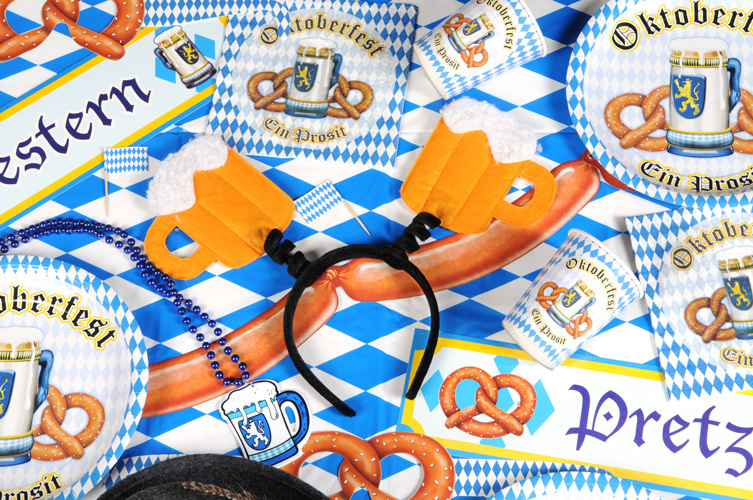 Shown in the images are the (60140) It’s All About The Beer Button, (60458) Official Beer Tester Button, (54835) Pretzel Eyeglasses, (60243) German Alpine, (60345) Deluxe Alpine Hat, (54654) Beads w/Beer Stein Medallion, and my favorite, the (60592) Beer Mug Boppers. We also have some great printed vests, headbands and suspenders, which would all be great options. Besides the obvious activities that take place at an Oktoberfest event, (eating great food & drinking brews), I have a few other ideas for activities to make sure that your guests enjoy your event. In tip #4, we discussed having some simple wearables available. So, set up a photo booth where guests can strike-a-pose for the camera. Create a backdrop, hang a few banners and you’ll be all set to capture some memories. 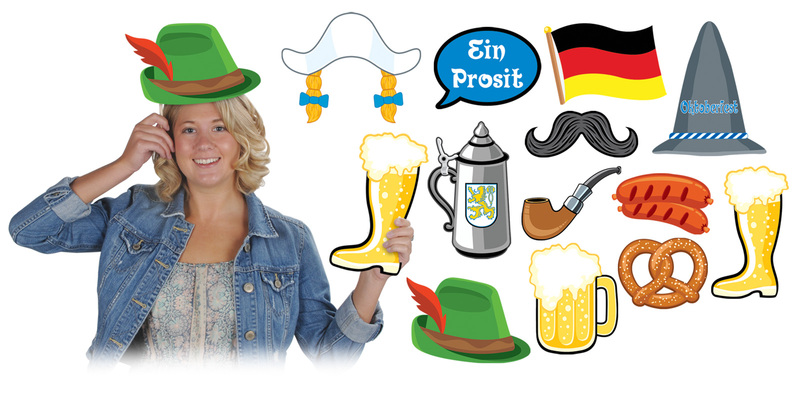 A few other photo-prop suggestions would be the (59872) Oktoberfest Photo Fun Signs and the (59970) Oktoberfest Couple Photo Prop, shown below. To really creat an authentic, German atmosphere, play some German-style music in the background. You could either purchase a CD or search for a station on your favorite radio site, such as spotify.com.